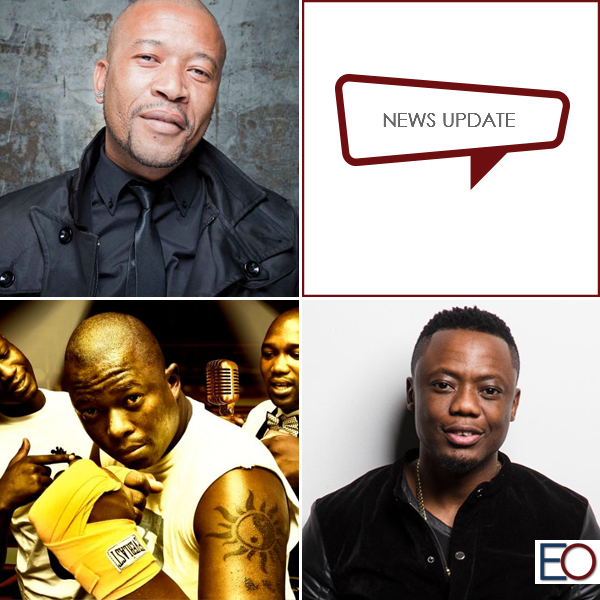 Our entertainment agency has access to over one thousand entertainers and prominent South African personalities. Through our services we can assist our clients with keynote speakers, comedians, MCs, function bands and so much more. However, we are saddened by the untimely bereavements of some of South Africa’s greats and who was featured on our agency website. In today’s post we remember the dearly departed. It is with great sorrow that we have had to pay our respects to two industry favourites in a short period of time. Earlier this month fans were devastated by the loss of Pro Kid and a little over a week later Sir Bubzin who also passed away as he lost his long battle against Leukaemia. On Christmas day last year Robbie Malinga lost his battle against cancer. Close family and friends were shocked by his passing despite his time in hospital just before. Robbie was a South African singer and producer and known for albums like African Love Story, Heavy Weight, Lilizela Mzantsi and The Duets. In January this year, Jazz legend, Bra Hugh Masekela, also lost his battle against cancer and were remembered by thousands of fans and colleagues. Hugh was a South African trumpeter, flugelhornist, cornetist, composer and singer. Two of his most favoured albums were Home is where the Music is and No Borders. Hugh performed on international stages and was a successful businessman in addition to his prosperous music career. Just recently we heard the sad news of Pro Kid, who suffered a severe seizure that resulted in his passing. Pro Kid was best known for his hit songs Ghetto Science, Uthini Ngo Pro, Wozobona and living the way I should, to name a few. Lastly, KwaMashu-born DJ and producer, Sir Bubzin, most unfortunately succumbed to his battle against Leukemia. Kalawa Jazmee Boss DJ Oskido discovered Sir Bubzin, real name Bongani Cele, and created the catchy and famed hit, Desha, in which he worked with Big Nuz and DJ Tira. Fans and colleagues all praised Bubzin’s work after the news. Paragraph from Grazing in the Grass. To round up this month’s newsletter, we said goodbye to two musical greats. To the family, friends, fans and colleagues of Sir Bubzin, we give our deepest condolences.